So we are a little behind. These are pictures of our trip to the Natural Science Center here in town from about a month ago. This would be where we acquired our very own plastic p. mantis much to Mara’s delight! 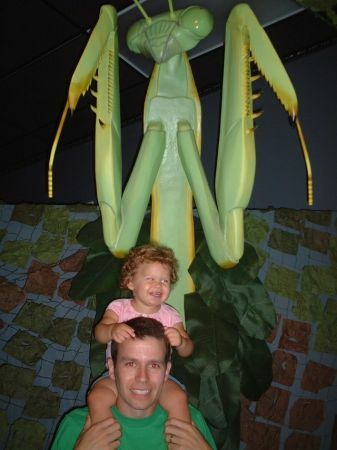 You can see by the pictures she’s having a fun time with all the interactive exhibits! Click on this picture to see all the pictures from our day! Like you’s praying, don’t cha know? P. Mantis, you’re where it’s at. Girl you are too funny. I know Lil Preston is loving your nursery rhyme rapping!